regarding dinner, i like the christmas eve tradition of my childhood: we always had a quite simple meal. something like potato salad & sausages. of course i would not eat these any more but i don’t like to spend this evening on creating a complex meal. 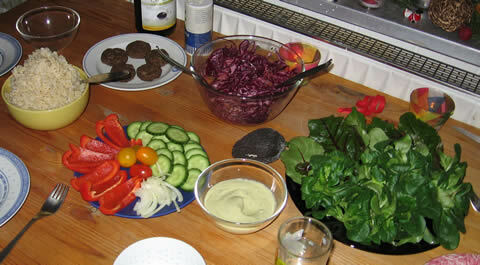 so we had a salad of red cabbage & oranges, raw burgers, rice for those not eating raw & an abundance of greens & vegetables with a sesame-dip. 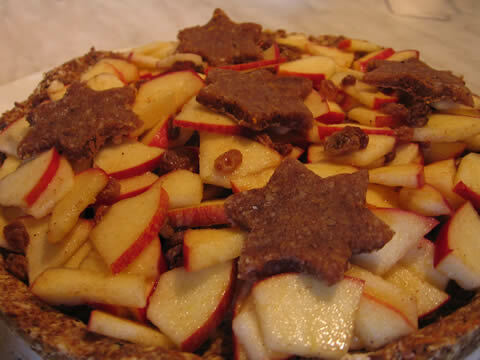 This entry was posted in celebrate life and tagged food, holidays on December 26, 2009 by junimond. Wow, this looks really delicious. How did you whiten the Vanillekipferl and how did you make the sesame dip? 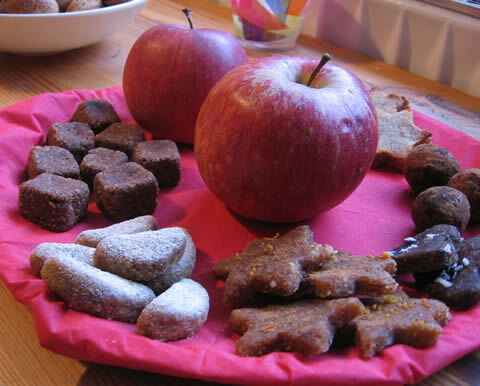 the kipferl are sprinkled with coconut flour (from amanprana http://www.amanprana.de/ ). sesame dip: simply blend 1 zucchini (peeled & diced) together with 1 T ground sesame, garlic & salt to taste.